The First Years On-The-Go Booster Seat/HighchairWe love this seat! It’s lightweight, easy to clean and was by far the cheapest of all we scoped. And – our son can’t wiggle his way out of it. We’ve used it at picnics and now even take it to restaurants since half of the highchairs in restaurants have broken straps. It’s easily portable (we stick it in our suitcase), which makes it perfect for both short and long trips. Additionally, your kid will fit securely in the seat, making it a safe choice even if you’re just going to grandma’s. To top it all off, it’s a great bang for your buck, selling on Amazon.com for just $22.95. Kelty Transit Carrier 2.1This backpack is a great way to bring your little one along on daytrips, hikes, or even just to manage getting through the airport. 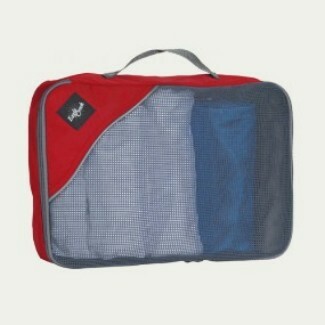 I recommend this when your child outgrows the Bjorn style carrier (ours just did). 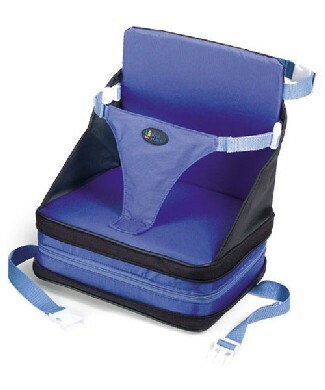 This child carrier is comfortable and convenient for parents with its torso-length adjustment. The carrier also offers plenty of storage space for diapers and other supplies. We use this to get through airports and carry this pack with our child and all diaper bag supplies in handy additional compartments. Excellent for getting through airplane aisles too. Only drawback we noticed: may not want to keep your kid in there too long (we’ve done one and two hour hikes so far with no problem) cause if it’s hot out your child might get a bit sweaty and uncomfortable with all that packing around him. We scoped a bunch of similar styles and our son was by far the most comfortable in this one. The TC 2.1 holds up to 40 lbs. Eagle Creek BagsMost challenging part about traveling? For me – it’s packing. We take one large bag for the entire family (less luggage to keep track of). We use these Eagle Creek bags to separate our clothes. Each family member has a designated color (mine is red) and we each take three or four of these along. 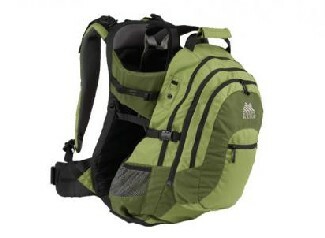 Keeps everyone packing light and works like a charm. What Kids Really Want That Money Can’t Buy Ok – it’s not really gear, but I love this book. Read it. You’ll be happy you did and your kids will thank you. This is particularly good reading around the holiday time when you feel inclined to buy your kids tons of crap. Do you really need another Tickle Me Elmo? I’ve adopted the author’s mantra: more fun, less stuff. BOB Revolution Stroller ($389.00)The BOB Revolution Stroller is definitely a popular pick on the playground these days. Hip, sporty parents purchase this one thinking they’ll still have the energy to jog after breeding. It is actually quite a good stroller particularly useful thanks to its innovative front wheel design, which makes it easy to move through hard-to-maneuver spaces. The stroller’s huge canopy ensures that baby won’t be bothered by powerful rays of sunshine. We use this stroller for canyon hikes and have found it easy to maneuver through dirt and even small rocks. Not my all time favorite cause we can’t have our child face us at all, so I find myself constantly stopping to see how he’s doing in there. The biggest problem with this stroller is our back wheels are often out of air. I’ve seen several other parents with Bob’s with this problem. 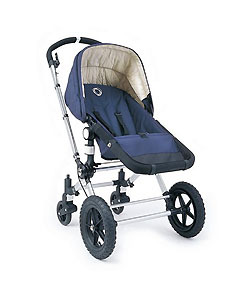 You’ll need to have an air pump on hand with this stroller and you’ll find yourself using it often. And although it folds up easily, it’s not very compact. Bugaboo Frog Complete ($759.00)This is a pricey stroller but my favorite by far, and as far as I’m concerned a worthy investment. It’s the stroller we use the most (almost every day) and have gotten the most amount of use and joy from. Yes, joy. Thanks to the reversible click-in seat your baby can face you or the world ahead of you. 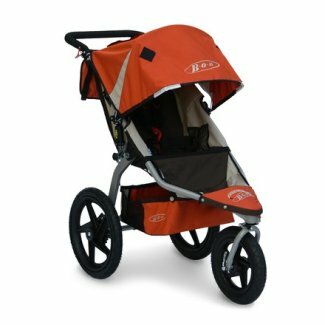 What ever stroller you pick as a parent, I would urge you (if you can afford it) to get a stroller that give you the option of having the baby face you. You’ll love seeing their face and they will be often be comforted being able to see yours. All the better to know you’re right there as you introduce them to the new world around them.